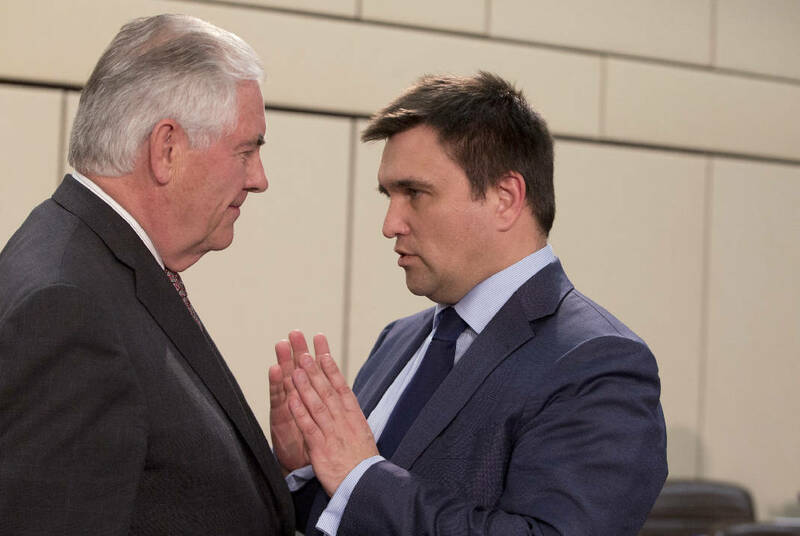 BRUSSELS (AP) - U.S. Secretary of State Rex Tillerson says Washington will ease sanctions against Russia over the conflict in Ukraine only when Moscow respects commitments to help restore peace. Tillerson said Friday that "the United States sanctions will remain until Moscow reverses the actions that triggered our sanctions." He said separate sanctions imposed over Russia's annexation of Ukraine's Crimean Peninsula "must remain in place until Russia returns control of the peninsula to Ukraine." Tillerson called on Moscow to use its influence over separatists to help stop the violence and attacks on peace monitors. Fighting between Ukraine government forces and separatist rebels has killed more than 9,800 people since April 2014. A 2015 peace deal helped reduce the scale of fighting, but violence has continued and attempts at a political settlement have failed.